We have a fully equipped professional workshop, with full parts back-up and the skills and experience to solve your biking problems. We invest heavily in tools and training to ensure your repairs will be carried out to highest standard. We will look after you and your bike repair, and would love to help get you back in the saddle. If your bike has been running nicely, but you need to replace a broken part or would like to upgrade something, bring it to us for repair. We can source almost anything to solve your issues, with a diverse range of suppliers, and the repair know-how to attach it all back together. We recommend a regular service to keep your bike operating as it ought to. What level of maintenance you want to do depends on how much you ride your bike, how hard you ride it, and what level of performance you demand from your machine. The more you service it, the better it will perform. From High End Custom builds to Frankenbikes, we have the specialist knowledge and suppliers to source it and fit it all together for you. Painting, conversions, custom builds, and whatever you woud like to do, come and chat to us to discuss your needs, the kettle's on! 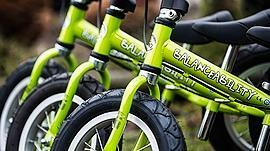 Are you a school, hotel or group with a fleet of bikes? 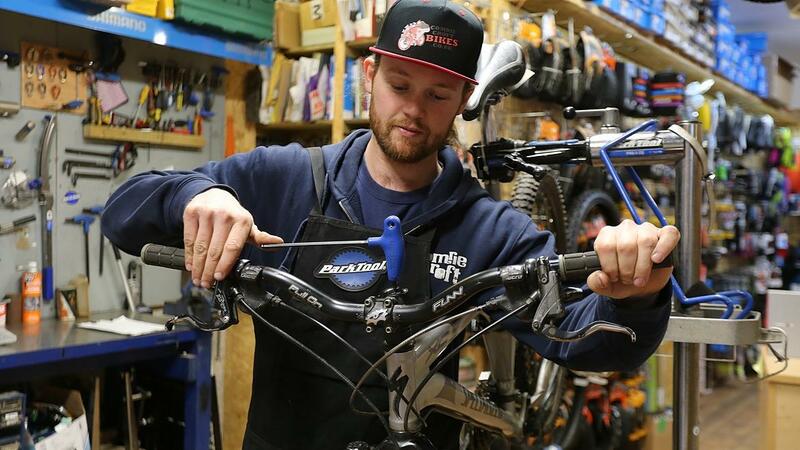 Comrie Croft Bikes are experts in fleet maintenance. We will also provide bike fleets on a sale or lease basis, just get in touch. Within 5 miles of our service centre. so if you live in Crieff or Comrie, or nearby, just get in touch to arrange collection.